When you’re meditating, it is important to have the right kind of ambiance. Not only will this help you to concentrate fully on your meditation, but it will allow you to concentrate more fully on what it is you’re looking to accomplish. 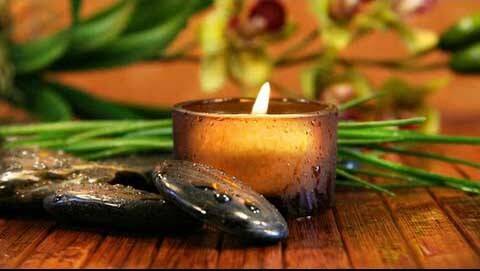 When you’re focused on chakras meditation, you will need to make sure you have the ambiance just right. This is because you want to have no distractions to keep you from accomplishing your goals. The last thing you want is to be in the process of energizing a chakra and end up being broken from your meditation from an interruption that could have been avoided. Here are some tips on how you can set the ambiance for better chakras meditation. The first thing you’re going to need for good chakras meditation is a good quiet place. It will be best if you can lock the doors to this quiet place, at least when you first start this kind of meditation. This way, you will not be disturbed by outside noises, or people trying to get your attention. If you have the ability to soundproof the room, you can get even more out of your meditation. If all of this is not available to you, simply make it very clear that you do not want to be disturbed and put on some headphones. This way, you’re sending a very clear message to everyone around you that you’re taking this seriously and would hope they would respect it. Lighting is very important in chakras meditation. You don’t want a room that is to bright, because you want to imagine the places throughout your body as you see them in your mind. When the room is too bright, it can be difficult for you not to see the room as it is around you, or the light invading your eyelids. Instead, enter a dark room and light some candles. The gentle light is exactly what you will need so you can close your eyes and imagine the different parts of your body as they would appear from the center of the chakra itself. Make sure the candles are sparse and are separated evenly so you have even lighting all around you. To help you concentrate, you should also use meditation music. This is especially important when a quiet room is not available to you. The meditation music can be pumped into your headphones to block outside noise. It will be even better if the music for your chakras meditation is without any words. Gentle sounds that will allow you to easily slide into a meditative state is the best. Always make sure that you have music that is going to remain constant as you’re meditating. It is a good idea not to use your phone for this as someone can call you in the middle of your meditation. Instead, use CDs or an iPod to assure you’ll have steady music playing.